Discussion in 'Commercial Posts, For Sale of Framing Shop Stuff a' started by Paul Cascio, Nov 3, 2018. We're please to announce a new, 3-Day Professional Framing Boot Camp, in Orlando/Daytona Beach, January 11-13, 2019. 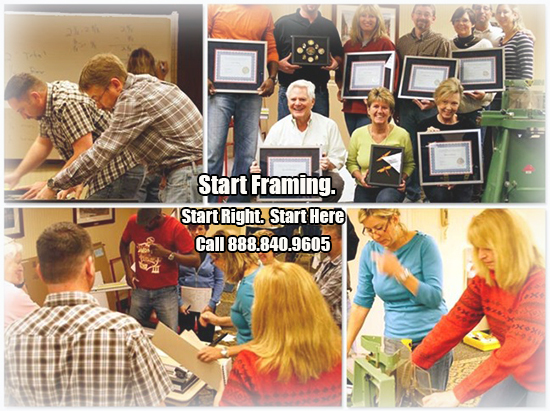 Start your own framing business, or just learn to frame like a pro. This hands-on class is an ideal way to put your framing and business skills on the fast track to success. Be here, or be rectangular. Visit www.pictureframingschool.com for more information, or to enroll. A great holiday gift for someone special. Low airfares available right now too. Limited openings remain for this class.